Today we can officially bring you an update regarding tickets to the forthcoming HWBOT World Tour trip to Melbourne, Australia in a just a few weeks time. The Melbourne 2017 event will take place at PAX AU on October 27th to 29th and as ever will feature a Overclocking World Championship Qualifier contest where a seat at the Finals in December is up for grabs. To compete in the contest you first need to purchase an LN2 ticket. The ticket also allows you to enjoy a social Overclocker Gathering event with access to unlimited liquid nitrogen. 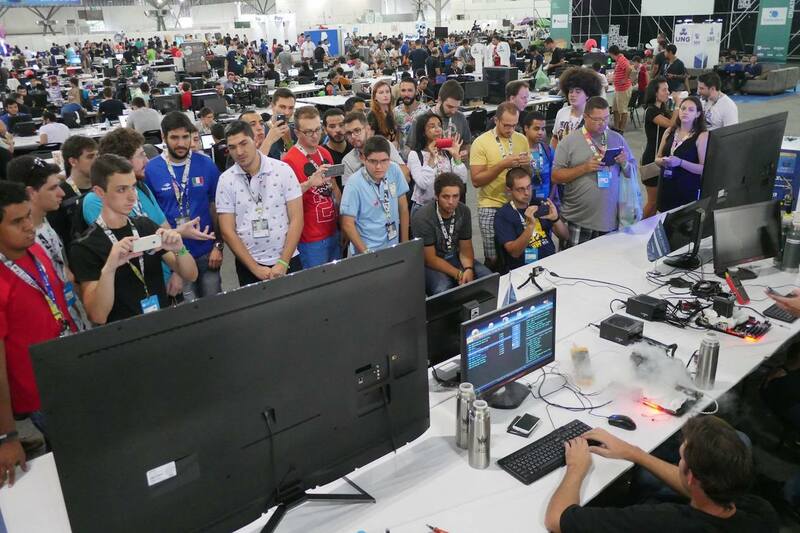 The HWBOT World Tour makes its first ever visit to Australia, bringing Overclocking Workshops and Contests to the PAX AU in Melbourne, Victoria. The Melbourne 2017 event will be a great opportunity for Australian Overclockers to come together and enjoy a socially relaxed Overclockers Gathering as well as the more competitive nature of Extreme Overclocking with the OCWC Melbourne Qualifier contest. Ambient Overclocking Workshops for all PAX AU 2017 visitors (free): Learn to overclock using the latest hardware provided by our partners (PAX Australia entry pass required). Overclockers Gathering: All overclockers are invoted to meet and enjoy overclocking together in a relaxed environment with lots of LN2 provided. The event is a BYOC (Bring Your Own Computer) event. Extreme Overclocking Contest: The Overclocking World Championship 2017 – Melbourne Qualifier. A competitive extreme contest. The winner will earn a ticket to the OCWC Finals at the end of the year. Hardware will supplied by event partners (TBC). Tickets to the Melbourne 2017 are available now from this Eventbite Page. Note: Seats are limited. To avoid disappointment book your seat now.